Tomorrow is Good Friday a day of very special graces. Each Church feast day is accompanied by an effusion of graces that corresponds to the graces the saint received or to the mysteries of the lives of Our Lady or Our Lord that the feast commemorates. 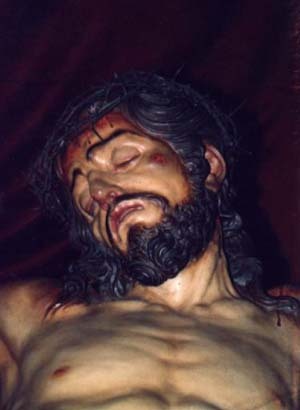 Tomorrow we will consider the mystery of mysteries, the death of Our Lord Jesus Christ and the Redemption of mankind. According to a venerable tradition, He died at 3 o’clock in the afternoon. Therefore, at that time the Redemption was realized. Our Lord spoke the words, consummatum est, it is finished, and then His Soul left His most holy Body. When He died, the Victim expired, the Sacrifice was made, and the Redemption was accomplished. The human genre, which before that hour was lost, thenceforth received the offer of salvation. At that moment, also, the skies darkened, the earth shook, and God’s wrath was manifested upon humankind. With this, we were rescued, and tomorrow we can contemplate Our Lord Jesus Christ as the fountain of all graces which opened to us because of His Sacrifice. We can consider that His Sacrifice opened such a torrent of mercy that is truly infinite. We can expect every kind of forgiveness insofar as we are open to receive these graces. First, we should consider Our Lord Jesus Christ expiring on the Cross, His death. We should meditate on Our Lord’s Heart pierced by the lance of Longinus. Consider how the iron head of the spear pierced the very symbol of His love. In this act the furor of His persecutors reached its apex. 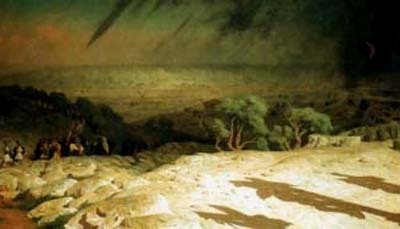 Although there are interpreters who sustain that this act was made by the Roman soldier to shorten His agony – a kind of euthanasia – we know that it was the furor of His persecutors that had placed Him in such a situation, where even His Sacred Heart was pierced. With this, the last of His Precious Blood along with a drop of water poured out for us, indicating His extreme mercy, goodness and consideration for us. 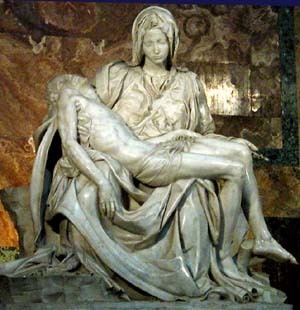 Second, consider Our Lord, bloodless, lying on the lap of Our Lady, represented in the well-known scene of the Pietà. It expresses the great compassion she had for Him, the great sorrow she felt because of Him. Along with her compassion, we can consider the tremendous and admirable solitude of Our Lady that began at that moment. She became Our Lady of Solitude, almost abandoned and without a friend. She had St. John the Evangelist as a son, it is true. But even knowing that he was very good, what a difference between this son and the Son of sons who had died! Third, consider Our Lord pallid and without life is left inside the Sepulcher, all alone. Here we should consider that Christ not only died, but He also rose. On many occasions the Holy Church seems dead, but in fact she never dies and, therefore, is incapable of resurrection. She always recovers, however, from her defeats and humiliations. Even amid the worst humiliations and desecrations that she suffers today, it is indisputable that she will be restored and that from the reign of the Revolution where we find ourselves today, the Reign of Mary will come. Tomorrow we can meditate on these aspects of the death of Our Lord and ask for a special grace on each one. What grace should we ask for in each meditation? Considering Our Lord expiring, we can ask for the grace to be converted, to change those parts of our souls that still need to convert to make us like unto Our Lord. There is always something inside of each one that needs to be converted until we reach sanctity. In view of His Sacrifice that ended in His death and in view of His mercy obtained at the price of His infinitely precious Blood, we can ask and expect the grace of a complete conversion. Let us beg, through the intercession of Our Lady, that Our Lord penetrate our souls and destroy all our resistance to His grace, that He shake us and convert us so that we become what we should be. Meditating on Our Lord’s pierced Heart, we should recall His love for us. In face of His infinite love for us, we should ask Him to intensify our spiritual life, which is our counter-revolutionary life. We are not only called to save our own souls, but we are called to destroy the Revolution and save the Church from the enormous progressivist infiltration she is suffering. Our love for Him would not be complete if we were only concerned with our individual spiritual progress. We should show Him our love by destroying the enemies of His Mystical Body. This is an important grace to pray for. Considering Our Lord lying on the lap of Our Lady, thinking of her piety and her sorrow, we should ask them both to help us understand the Passion of Our Lord as she did when she contemplated Him there. Many people meditate on the Passion as a past event without any relation to their immediate lives. On the contrary, we should have it always before our eyes. In the Stations of the Cross we pray: Impress on our souls the wounds of Christ. This means: Give us solidarity with the Passion of Christ in such a way that His sorrows become our sorrows, and that we live having His Passion before our eyes. The way to do this is to think about the Catholic Church. 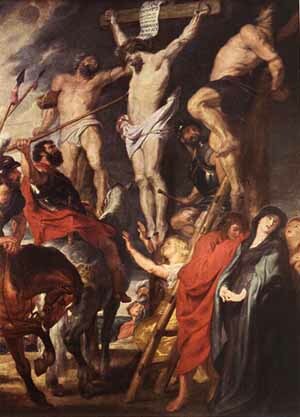 Today she is passing through a Passion similar to the Passion of Our Lord Jesus Christ. We should ask the grace of transcending the sphere of our little lives, our small individual interests, in order to live always having before our eyes the Passion of Holy Mother Church. Contemplating Christ in the Sepulcher, we contemplate the humiliations and desecrations suffered by the Church today. Nonetheless we know she will recover from this situation, the reign of the Revolution will be destroyed and the Reign of Mary established. Let us ask Our Lady that we always hope and believe in this new Easter that will come. These are the considerations we can make and graces we can ask for tomorrow on Good Friday.